Some advanced universal remotes can control up to 12 different devices at the same time, including smart thermostats, gaming systems, and lighting systems. There is no doubt that electronic entertainment systems such as cable boxes, DVRs, streaming services and big screen TVs have become extremely popular in recent years. With this rise in popularity, however, a new need has arisen. Originally, all of these systems required their own wireless remote control units, and they didn't always communicate well with each other. Enter the universal remote control. Instead of juggling three or four different remote controls at a time, users can simply program all of the device codes and have one multi-functional controller at their command. Many universal remotes are surprisingly affordable, and the number of different devices they can manage at one time is increasing all the time. If you're tired of keeping track of a handful of single-purpose remote controls for the TV, cable box and stereo system, consider investing in a universal remote control that can handle all of those assignments and even more. Here are some important features to consider when shopping for a universal remote control. While most universal remote controls are designed to handle common devices such as TVs, cable boxes and stereos, there are advanced models that can handle even more duties, such as home lighting systems and smart appliances. When shopping for a universal remote, it is important to consider all of the current or future functions you may want it to control. Make sure you only buy as much "control" as you actually need. Another consideration is ease of use. Programming a number of electronic device codes at one time can be challenging. Look for universal remote units that can learn your programming habits and add channels or devices accordingly. Some models are pre-programmed, which means the user may have to re-enter all the coding if the battery loses power. Be sure to keep any instructional guides with coding charts handy. Universal remotes need to speak the language of all the devices they control. Some devices respond to infrared (IR) signals, while others receive radio commands or Wi-fi information. A quality universal remote should have multiple signal capacity so it can control different types of devices at the same time. Many universal remote controls look very intimidating at first, with multiple keypads and a confusing array of command buttons. What works for a DVR may not work for a smart TV. 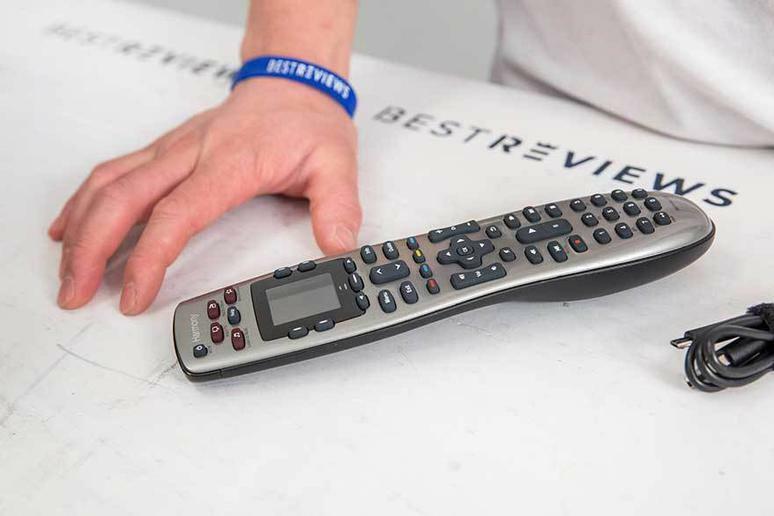 The better universal remotes have logical displays with easy-to-read commands and intuitive functionality. This is especially important when using an advanced model designed to control 6 or more devices. For households with small children, having parental control over the remote is an important consideration. Many universal remote controls incorporate electronic lock-outs that restrict access to certain devices or channels. If parental control is a factor, look for models that specifically mention this security feature. Q: Are universal remote controls truly "universal"? Will they work on every device I own? A: Most universal remote control manufacturers incorporate the operating codes of numerous devices produced in the last decade or so. However, there may still be some older devices that do not have compatible codes, or their sensors could be outdated. Be sure to read the owner's manual to determine if a specific device is included. Q: I think the batteries in my universal remote are about to expire. Will I need to reset all of the codes for all of my devices when I change them out? A: It depends on the model. Many universal remote controls retain coding information for a short period of time after the batteries have been removed. This gives owners a short window of opportunity to replace them before any loss of memory. Some models do require users to reset every device control manually, however. Keep your instruction manual handy. Q: How many devices can I control at one time with my new universal remote control? A: Basic models can generally control 3 or 4 devices, such as the TV set, streaming device, DVR and stereo. More advanced universal remotes can control up to 12 devices, including smart thermostats, home lighting controls and gaming systems. Our take: The Logitech Harmony is the one to own if you have multiple brands of devices to control. Very user friendly, but keep the instruction book handy. What we like: Easy to read color display screen. Supports wide array of devices. Uses icons for easier source swaps. What we dislike: Programming new devices can be challenging, steep learning curve. Our take: The Inteset 4-in-1 remote is ideal for those who plan on installing any streaming services, such as Roku, AppleTV or Windows Media Center. Great retail price. What we like: Many popular streaming devices already pre-programmed. 4-in-1 capability for multiple sources and devices. Affordable price point. What we dislike: Display only remains illuminated for five seconds, cannot be adjusted. Our take: The Sony RMVLZ620 remote control works intuitively with multiple devices, and we recommend it to beginning users with minimal electronics experience. What we like: Many controls become one-touch commands. Works on multiple devices, not limited by brand. User-friendly display panel. What we dislike: Some buttons not ideally located, can make programming more challenging.